A bill that would provide legal immunity to anyone seeking help for a drug overdose was amended March 30 to include provisions of several bills addressing controlled substances. 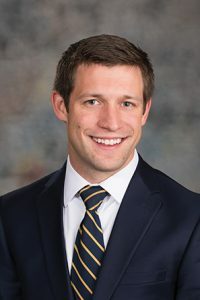 Under LB487, introduced by Lincoln Sen. Adam Morfeld, a person experiencing a drug overdose or a person who witnesses an overdose who seeks medical assistance would receive legal immunity. Morfeld said the language mirrors that of a bill passed in 2014 that provides immunity to a person experiencing or witnessing a possible alcohol overdose. To qualify for the bill’s immunity provision, a person must remain on the scene until medical assistance or law enforcement arrives and provide his or her full cooperation. The bill would not apply to any other drug-related offense such as the manufacturing or distribution of drugs. No emergency responder or law enforcement officer would be held criminally or civilly liable for the treatment of a person experiencing a drug overdose, unless such person behaves in a willfully or grossly negligent manner. 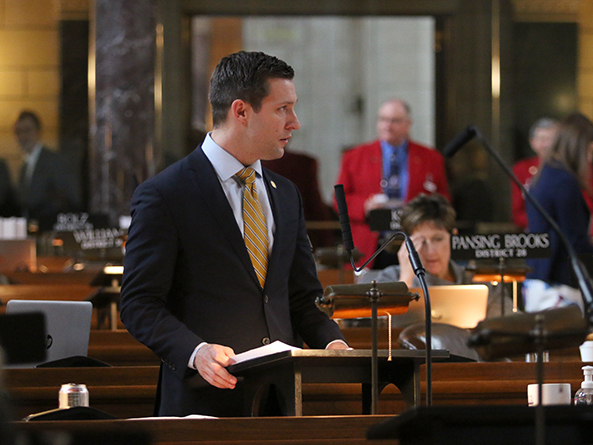 A Judiciary Committee amendment, adopted 31-6, incorporated provisions of several bills, including LB296, originally introduced by Omaha Sen. John McCollister. As amended, it would provide civil immunity to any physician, health care professional or pharmacist who prescribes or dispenses non-patient-specific medication for response to life-threatening asthma or anaphylaxis to a school, educational service unit or early childhood education program. Provisions added from LB293, originally introduced by O’Neill Sen. Tyson Larson, would add a drug known as U-47700, a synthetic opioid, as a Schedule I drug under the Uniform Controlled Substances Act to mirror federal regulations. Finally, provisions added from LB167, originally introduced by Crete Sen. Laura Ebke, would make cannabidiol a Schedule V controlled substance. The drug currently is under development as a possible epilepsy treatment and adding it to the Uniform Controlled Substances Act would make it available to patients as soon as it is approved by the Federal Drug Administration, Ebke said. Senators advanced the amended bill to select file on a 35-4 vote.